WHAT ARE THE SOLARIS™ PATIOS MADE OF? The standard kits comprising of all materials required to build your Patio from the Solaris ™ Panel with the Solaris ™ Build System. WHAT ARE SOLARIS™ PANELS MADE OF? 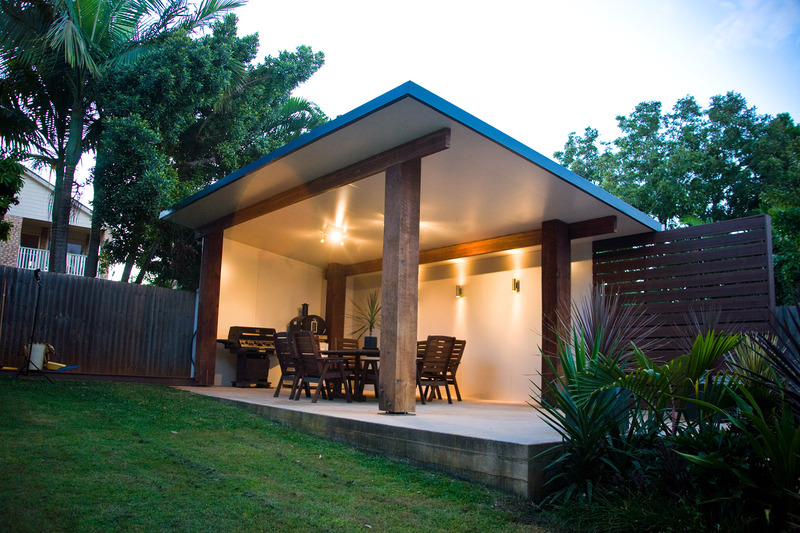 All Solaris™ panels are made from the highest quality materials including BlueScope COLORBOND® steel skins and fire retardant expanded polystyrene cores. WHAT SIZES ARE SOLARIS™ PANELS AVAILABLE IN? SmoothPanel is 1200mm wide and can be up to 250mm thick and up to 16mt long; RidgePanel and CorroPanel are 1000mm wide (plus top skin overlap) and can be up to 200mm thick and up to 16 metres long; AgPanel is 1000mm wide (plus top skin overlap) and can be up to 100mm thick and up to 16 metres long. WHAT COLORS ARE SOLARIS™ PANELS AVAILABLE IN? SmoothPanel, RidgePanel and CorroPanel are available in several options from the standard COLORBOND® range which are frequently updated Please refer to your SOLARIS™ representative for details and samples of the current colour choices. 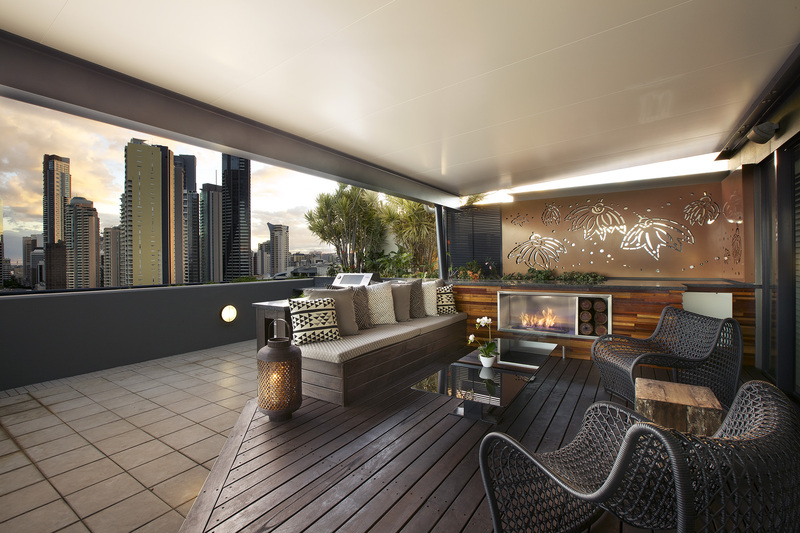 AgPanel is only available in COLORBOND® Surfmist. DOES SOLARIS™ OFFER AN INSTALLATION SERVICE? CAN I WALK ON THE ROOF PANELS ONCE INSTALLED? Yes, the roof panels are designed to withstand up to 140kg over the supported area of roof only (i.e. No loads are permitted on the unsupported overhang section of roofs). CAN I CUT THE PANELS ON SITE? Yes, the panels can be cut with either nibblers, a cold cut saw or any other cutting methods approved by BlueScope. CAN I FIT A CEILING FAN TO MY ROOF? Yes, any domestic grade electrical appliance can be face-fixed to the ceiling side of a panel roof. ARE HIP AND VALLEY ROOF DESIGNS SUITABLE FOR PANEL ROOFING? Skillion and gable roof designs are most economical for panel roofing. Generally, most houses can be (re) designed to satisfy this requirement and maintain their aesthetic appeal. However, it is possible to use panel roofing on hip and valley roof designs if necessary. CAN I RUN ELECTRICAL SERVICES WITHIN A PANEL ROOF? Yes, a services void is provided at the panel join to facilitate running of electrical wires. Of course these should only be installed by a suitably qualified electrician. HOW DO I MAINTAIN MY SOLARIS™ PANELS IN TOP CONDITION? Ensure your Solaris™ panels are installed as per the manufacturer’s recommendations and any exterior metal surfaces that are not exposed to “washing down” by rain should be manually washed down once per year to avoid build-up of corrosive materials or pollutants. WHAT WARRANTIES ARE PROVIDED WITH MY SOLARIS™ PRODUCTS? A comprehensive manufacturer’s warranty is provided for all Solaris™ panels for up to 15 years. IS IT POSSIBLE TO REPAIR DAMAGE TO THE COLORBOND® PAINT SKINS? Yes, in a similar manner to an automotive repair regime. Dents are filled using a plastic resin body filler, sanded and then painted. Scratches are sanded and painted. COLORBOND® repair paints are available from your local COLORBOND® stockists and most large hardware stores. ARE SOLARIS™ PANELS RESISTANT TO VERMIN ATTACK? EPS has absolutely no nutritional value as a food source so will not attract vermin. We do however recommend that you maintain a suitable pest control regime to prevent vermin from burrowing into or through the EPS core. CAN I USE DIFFERENT COLOUR SKINS ON TOP AND BOTTOM PANEL SURFACES? Yes, subject to minimum order quantities and colour selection. Darker colours may not be suitable for use in certain hot arid regions where the COLORBOND® skin temperature could exceed 80 degrees celcius. Refer to your Solaris™ representative for confirmation of the colours suited to your application. WHAT ARE THE ACOUSTIC PROPERTIES OF SOLARIS™ PANELS? Solaris™ panels provide a similar acoustic performance to lightweight stud walls commonly used in residential applications. Improved acoustic performance can be achieved by application of select linings. Refer to you SolarisTM representative for more detail. DOES CONDENSATION FORM ON THE INNER SKIN OF SOLARIS™ PANELS IN EXTREME HOT OR COLD CONDITIONS? This will not occur if moist air is prevented from entering the inside of the building. The EPS insulated core prevents thermal bridging occurring between the outer and inner skins, so even if a considerable temperature difference exists between the inside and outside, condensation will not occur. A dry internal environment can be assured in humid climates by incorporating specific design features including entry air locks, ventilation, refrigerative rather than evaporative air conditioning.